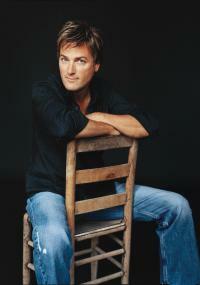 Michael W Smith: The healing process: US CCM man Michael W Smith muses on pop and politics. MICHAEL W SMITH talks about his return to pop music, George Bush, Bono and Africa. Elizabeth Cook reports. As Michael W Smith, America's most popular Christian singer, commented to Billboard, "I've been there and done that. I'm not chasing anything." And after 20 years in the music industry and taking on almost everything from the expected (marriage and fatherhood), to the challenging (building and pasturing a new church community, starting his own record label), to the surprising (starring in a film) few could argue. The last year has been particularly busy. He has performed for millions with his patriotic "There She Stands" before President Bush's speech at the Republic National Convention, jammed with U2 during a studio visit in Ireland and most recently developed his acting abilities by accepting the lead role in the Steve Taylor-directed and produced indie film, The Second Chance, due to be released to cinemas later this year. Inbetween all this, Michael has managed to finish the 18th album of his career, 'Healing Rain', released late last year. This latest project is the CCM star's first pop album since 1999's 'This Is Your Time' and follows Michael's two immensely popular worship albums, 'Worship' (2001) and 'Worship Again' (2002), and his instrumental album 'Freedom'. Commented Michael, "I know there are people that say, 'Well, you've done these two worship albums, how are people going to respond?' I just can't sit around and worry about that. This is pop, and this is what I love to do. Who knows, I might go back and do a vertical worship record one day, but I knew that I wasn't supposed to do 'Worship III'. I just wasn't going to do that, it was not the right thing." Smith insists that his move back to pop music was more to do with his creative instincts than to re-establish himself with younger album buyers. He told journalist Chris Jones, "I'm much more secure in where my life is at. I'm not desperate. I'm not nervous. I'm not sitting around waiting to see how many records I'm going to sell next week." 'Healing Rain' finds the singer working with some new collaborators and picking up another Smith, Martin Smith, from Delirious?, as a writing partner. He said, "I'm a big fan of Delirious? and a really big fan of Martin's writing, which includes the modern worship classic 'I Could Sing Of Your Love Forever'. I thought of Martin because I thought I would love to be able to do something that has a sort of vertical thing, but it's progressive and not corporate - and that's what Delirious? does." The duo's work also produced the title for the album 'Healing Rain'. Towards the end of last year Michael even found time to visit U2's Bono for dinner "with the boys". The visit was extended to the "secret" music studio where the band was recording with producer Steve Lillywhite. Whilst in the studio playing snippets of music, Bono revealed he thought the title to their then forthcoming album, released last November, would be 'How To Dismantle An Atomic Bomb." After asking Michael if he knew how to do so, Bono answered "Love, love, love". Together with the film Passion Of The Christ, that fleeting conversation became the inspiration for Michael's song "I Am Loved" on his new album. Written by Smith with Rocketown Records artist Taylor Sorensen, the song was completed in 15 minutes. Observed Michael, "My favorite songs are always the ones that happen that fast." Michael's time with U2 also saw him sit in on, and lend his talents to, a tracking session for "North Star" on U2's album, which was a tribute to country music giant Johnny Cash. During Smith's 20 years in the music industry, Johnny Cash became just one of his many acquaintances and friends, along with presidents, governors, rock and movie stars. Michael has long been a friend of President George W Bush. Their friendship began more than 15 years ago when the first President Bush occupied the White House. The initial meeting took place in 1989 when Michael found himself invited to play for Christmas In Washington. Soon after that concert, Michael was approached with the request to go to the White House by invitation of the President. He said he still cringes at the memory of asking the President if the piano was in tune when invited to the East Room to play Christmas carols for the first family. Remembered Michael, "I thought, you idiot, what are you doing? I was trying to be funny." Smith said he was introduced to George W at a tennis match when they played against each other before Bush was even governor of Texas. The two have remained friends since and according to Michael are in touch on a regular basis. One subject very much on Michael W Smith's mind is the on going AIDS pandemic in Africa. He said simply, "I want to go to Africa. We have to do something." Through the work of the Bono-founded DATA, Christian music's grassroots movement AWAKE and Michael's role as a Compassion International representative, he has been eager and faithful to lend his hand, voice and influence to help make a difference. For his part, Michael included a plea for Africa on 'Healing Rain' with the song "We Can't Wait Any Longer' but is quick to point out it's not even close to enough. "I'm speaking and trying to wake Americans up, but it's still not enough for me. I need to go to Africa. I don't want to just pour my money into it. It's easy to give money. Just write a cheque all day and feel good. That's what a lot of people do. But we've got to get our hands dirty." No doubt this enthusiasm is helped by his admiration for Nelson Mandela, who he would love to meet face-to-face, and the influence of crusading rock star Bono. More than one journalist has asked Michael about a possible political career in the future. "I just don't know if I could do it. There is a part of me that would really want to do it because I think I could probably make a pretty good politician. I just don't know if I could play that game; to be in politics, to a certain degree you've got to play the game." But Michael has not ruled it out entirely. "It would have to be a very loud call from God saying, 'I want you to run for senator or governor.' You know I don't have any experience' he said to journalist Roberta Croteau, but then added, "But neither did Arnold." And it may have been Arnold, actor turned governor, who has been an influence in Michael's decision to join the Actor's Guild. Soon the movie world will see the entrance of Michael W Smith, film actor. He is set to star in the film The Second Chance directed by singer, record producer, one time record label owner, lyricist, film script writer and all round renaissance man, Steve Taylor. Although Michael has had a few acting cameos in various films, this is the singers first full-length feature. He said to journalist DeWayne Hamby, "It's a whole other realm for me. I believe in the script, I believe in what he's (Steve Taylor) trying to say and I think there's a future there. My son (Ryan, 21) is into films as well and we've started our own little production company (Seabourne Pictures). He's writing something really good right now." The Second Chance is about a suburban minister (Michael) who's sent to save an inner-city ministry that deals with former prostitutes and drug dealers. Smith is amazed that acting can actually give him the ability to make someone cry. Seemingly the singer has forgotten that his music has been doing that for years. While Michael plays a man of God on his way to redemption on screen, in real life, the singer is already in a pastoral role in the lives of his church family. Though not a pastor in the traditional sense, he believes his role is to help others find out what their gifts are. This human dynamo continues to work relentlessly hard. He is due to start a headlining tour of the USA this Spring to support the new album which will follow the publication of a Healing Rain book by Integrity Publishers. And inspired by conversations and friendships with Bono and President George W Bush, Michael also plans to visit Africa sometime after that. "I'm trying to hear God. It's too late to miss it." the title of the article. Michael is a very gifted musician and songwriter. I highly commend the song "There She Stands" and the video shoot. I read all about what he is doing and what he has done; and those he keeps contact with. Michael states that, he is trying to hear GOD; well, for one, in order for that to happen, we need to "BE STILL". Michael has too many irons in the fire! Healing processes do not occur overnight; as with a lot of other things too I might add. We need alone time with GOD! Is Michael more concerned at doing what he wants? I wonder how we as believers would feel and react, if GOD gave us place in the wilderness for about 3 years and fed us twice a day by ravens and we had to drink from a brook as Elijah?